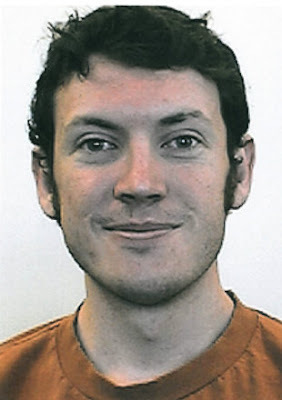 CRIME, GUNS, AND VIDEOTAPE: Was the Batman Killer, James Holmes a Victim of Government Mind Control Experiments? I don't think he was a victim of a 'parallax view' conspiracy. My guess is he was on anti depressants. The drug companies do not really know how these medicines work and yet they are given out like candy. If you looked into the background of a lot of people who carry out the worst disturbing crimes like this one for no apparent reason, you will often find they have been prescribed anti depressants. Yet the focus is always on the guns. Guess the drug companies are just too powerful. Either way, the government of this Country is CORRUPT to the Top, and should be feared, and not to be trusted at all anymore. They ARE OUT of CONTROL. Everyone normal is worried about what is next for America. I work with Medical Residents and Surgeons/Doctors..Do you have ANY clue what they go through while in Residency? No sleep for 36 hours..on call all the time..no days off for 5 years unless preggers or hospitalized..they LIVE on Coffee..If anyone has tried living like that for a MONTH I bet you you'd lose your mind too!He's not the first and he wont be the last!What NEEDS to be done is have better "Rules" for the Residents..seriously? I applaud all of them that make it through Residency..some just snap cos its too much!Ive seen many succeed and I have also seen many leave..
Holmes is not a medical student but a PhD candidate in the medical field. I'm sure that his work program was incredibly stressful too. I hope we get to the bottom of this and figure out what the hell motivated him I am really convinced that had to be something serious. Who messed the warning signs? Forget whether there was enough evidence of mind control. How does a broke college student buy over $20,000 worth of combat grade weaponry, ammunition and body armor over a 3 month period with no problems? What about the reports now coming out that someone witnessed a man in front of him receiving what looked like a phone call, then walking down to the fire exit and appearing to jar the door open? Shortly after James Holmes entered that door and began shooting. I'm sorry, but there are just too many red flags on this popping up NOT to take the possibility of something bigger going on here very seriously. I dont think he is a MK-Ultra sleeper. What is puzzling about James Eagen Holmes is how non existent any record of Holmes is. Holmes has no prior arrest record beyond a parking ticket, and was fairly clean until his mass killing spree Friday night. Many are asking if James Eagen Holmes may have be involved in some mind control experiment- gone awry. Unfortunately many people don't usually buy into conspiracies but we all know of the many and frequent hideous and barbaric experiments governments have conducted on its own citizens over the years. And not just in this country! In Maryland a few years ago a more sinister story was out regarding the death of Dr. Frank Olsen, a Ft. Detrick, Maryland biological warfare specialist. The CIA maintained for years that Olsen committed suicide while the family has always believed Dr. Olsen was killed because of what he knew and also because he asked to resign and get out of whatever he was working on.The gist of the story is that Dr. Olsen was involved in biological weapons research. He had been assigned as a contact with the CIA's Technical Sciences staff run by Dr. Sidney Gottlieb and his deputy Robert Lashbrook. Lashbrook was also the only person with Dr. Olsen when he either jumped from a 10th floor hotel room or was pushed out of a 10th floor window. At the end Dr. Olsen was involved in experiments with bio-weapons, toxins, and mind control drugs. Dr. Olsen apparently became an experiment himself on November 18, 1953 while on a retreat with staff to Deep Creek Lake in Western, Maryland. Dr. Gottlied spiked a bottle of Cointreau with something he called serunin but which was really LSD. Dr. Olsen was unaware of the LSD and eventually began to suffer what the CIA termed depression and a nervous breakdown. He was referred to CIA and program Psychiatrist Harold Abramson in New York, thus the fateful trip and the stay at the Hotel Statler. On the second day the CIA maintains Dr. Olsen threw himself out a 10th story window. The project Olsen was working on was called MKUltra and was involved in finding a fool proof truth serum in case the Communist Bloc nations were able to actually place a real Manchurian candidate in our highest offices of government. This program used many different forms of behavior control and manipulation. It was undertaken by 80 institutions including 44 colleges and universities. Knowing that these things took place during the Cold War is one reason why it is not so beyond the realm of possibility with the so called War on Terror to believe that our government isn't back in the mind control business for interogating suspected terrorists, particularly with how unpopular and illegal waterboarding is not to mention unreliable. That brings us back to police Chief Oates. How does a neuro-science student get thier hands on para-military gear, 6,000 rounds of ammunition, and explosive devices plus the abilities to construct highly sophisticated booby traps that require the best experts to dismantle. In our Patriot Act era, when the wrong book taken out of your local public library can cause you to be a person of interest, how does a college student buying all these things over the last few months escape everyone's scrutiny. Holmes record is so squeaky clean and devoid of any information, here we are two full days past the attack and still no real information about Holmes has come out. Is the whole we are protecting the prosecution of Holmes by not talking about motives for real, or a cover up while everything is cleaned up and a cover story is created to satisfy America? With all of the things that have occured in my lifetime and because I have experienced conspiracies and cover up - I wonder if this is a conspiracy, and there is some underlying story we do not know about yet? That brings us back to police Chief Oates. How does a neuro-science student get thier hands on para-military gear, 6,000 rounds of ammunition, and explosive devices plus the abilities to construct highly sophisticated booby traps that require the best experts to dismantle. Para-miltary gear is as easy to purchase as abox of kleenex.One can buy just about anything that a soldier or SWAT guy can, short of AT4s,C4 and full-auto guns(I know about Title II guns). You could buy those items on the black market. You can easily buy gas masks,smoke and tear gas devices,nylon gear,ballistic vests,helmets and shields and other related gear,EASY. 6k rounds of ammo is easily bought with cash or a credit card,you can buy any amount you want with the correct amount of money. Building explosive devices is easy.The shooter was intelligent and educated.Should we now ban Chemistry classes or those with the intelligence level to to self-educate????? I know teenagers with the god given gift to learn about computers and computer code,no need to attend any classes.99.9% just want to learn and explore and cause no harm to our digital cyber world. True. BUT how did he AFFORD it? He was on welfare. The $26,000 a year he was receiving for his student grant. "I'm sorry, but there are just too many red flags on this popping up NOT to take the possibility of something bigger going on here very seriously"
Yes it is bigger - and here are some of the underpinnings. Its not just about murder its also about big money. Big pharma lawyers would love to find loopholes in Colorado law, ways to get around revealing Holmes’ medical history. Holmes is a murderer but he is now also a pawn, who is going to be used to save the good name of drugs, and more importantly the drug money for the people who own it. Yes the money is dirty. And it always was. It’s been made on the backs of people who have died at the rate of 100,000 a year in the US alone. That’s a million people per decade—pharmaceutically caused deaths. In addition there is evidence Holmes’ psychiatrist, Lynne Fenton, was reprimanded by the Colorado Board of Medical Examiners, in 2005, for prescribing drugs to several patients, including herself, without entering the information in patient records. So what was psychiatrist Lynne Fenton giving to James Holmes before he flipped out - grand massacre style? The drug companies and the University would turn Fenton and Holmes into scapegoats and blacken their names - rather than accept any responsibility for their drugs psychiatric program and negligence. That is what they will say! But the actual truth may be that the massacre resulted through a fusion between the psychiatrist's drugs and Holmes, and Holmes being isolated from anyone that could possibly help or stop him. There is a movie along these lines directed by Robert Wiene, called "The Cabinet of Caligari." A German silent movie from 1920, that includes a doctor a patient a fair and murders. The idea of an authority using a somnabulist, a sleeper - to do their dirty deeds has also manfested in movies such as the "Manchurian Candidate"
The idea of mind control is not going to go away in a hurry, especially when psychiatrists and drugs are involved, and the patient goes out and kills. and are not addressing INSTEAD DEFLECTING THE ENEMY WITHIN psychiatry - which KNOWS NO BOUNDARIES and has NO NATIONALITY. Not unlike George Orwell’s “ 1984” & “Minority Reports”– Guilty because Rainer Reinscheid wrote the words down, but would he have acted on them ? Some at the High School in Irvine- I can imagine - may have been cruel callous and unkind. It is not unusual at Universities, Colleges and High Schools! Yes the public must be protected from Rainer–but Rainer never carried out a massacre. Where are we going from here. Are Californians and Americans - going to be guilty of having a thought and writing it down – without having carried it out? The California Media have already convicted this man just for his words, but Rainer had not purchased guns. Thus in the wake of James Holmes massacre in Colorado – is German psychiatrist Rainer Reinscheid going to have to pay a price for a massacre that he did not commit – either in Irvine,or Colorado? Precise details of the Russian gun have not been revealed. High doses of microwaves can damage the functioning of internal organs, control behavior or even drive victims to suicide.